Blood clots are thick and sticky clumps of dried blood. Almost every woman has noticed blood clots during her period. For some women, this is a very rare phenomenon, while for others it is a common part of their menstruation. Uterine fibroids – a benign pathology of the uterine cavity that directly affects the nature of menstruation, including the appearance of clots. Other reasons – blood clots during menstruation are less likely to occur as a result of low hemoglobin, ectopic pregnancy, vitamin surplus in the body, etc. Miscarriage is a disturbed pregnancy that ends before the fetus is able to survive outside the uterus, i.e. before the 20th gestational week. Miscarriage in early pregnancy is a relatively common phenomenon. It occurs in 10-20% of the women who know they are pregnant. In fact, it is even more frequent, including the very early miscarriages that appear while the pregnancy has not been detected yet. About 80% of the miscarriages happen prior to the 12th gestational week. Genetic and chromosomal embryonic abnormalities cause up to 95% of the miscarriages. Structural features of the uterus or the cervix, etc. The miscarriages most often occur at a very early stage, prior to the development of the embryo. It is also possible an embryo in which heart rhythms are found to stop its development at a later stage. The main symptoms of a miscarriage are abdominal pain and vaginal bleeding. The pain is strong, sudden, accompanied by unbearable cramps. The cramps spread from the abdomen into the legs and thighs. Severe back pain accompanies the periods of cramps and heavy blood flow. Тhe blood flow of a miscarriage usually starts with a brownish discharge. It is followed by unusually heavy bright red or pink discharge with big red blood clots, continuing 2-3 days. Small kidney shaped grey tissue mass is also discharged. If the pregnancy is beyond 6-8 weeks, a ball-shaped sac containing the fetus can also be found discharged. A woman may feel an increase in temperature during a miscarriage. 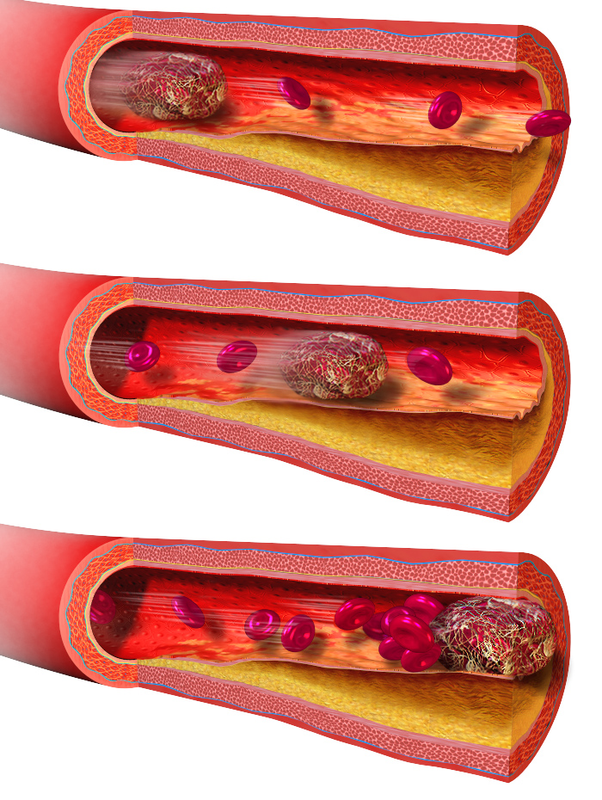 Blood clot: Blood clots are thick and sticky clumps of dried blood. Miscarriage: Miscarriage is a disturbed pregnancy that ends before the fetus is able to survive outside the uterus. Blood clot: Almost every woman has noticed blood clots during her menstruation. Miscarriage: Miscarriage occurs in 10-20% of the women who know they are pregnant. Blood clot: The most common reasons for the appearance of clots during menstruation are sedentary lifestyle, cervix disorders, disturbance of the hormonal balance, presence of an intrauterine device, polyps in the uterus, uterine fibroids, low hemoglobin, ectopic pregnancy, vitamin surplus in the body, etc. Miscarriage: The most common reasons for a miscarriage are genetic and chromosomal embryonic abnormalities, diseases of the mother, intake of toxic substances, alcohol consumption, smoking, structural features of the uterus or the cervix, etc. Blood clot: Blood clots are uniform red blood clumps. An ultrasound scan shows them as black areas. Miscarriage: During miscarriage grayish tissue parts are discharged, together with blood clots. An ultrasound scan shows the products of conception as white areas. Blood clots are thick and sticky clumps of dried blood. Miscarriage is a disturbed pregnancy that ends before the fetus is able to survive outside the uterus. Almost every woman has noticed blood clots during her menstruation. Miscarriage occurs in 10-20% of the women who know they are pregnant. The most common reasons for the appearance of clots during menstruation are sedentary lifestyle, cervix disorders, disturbance of the hormonal balance of the woman, presence of an intrauterine device, polyps in the uterus, uterine fibroids, low hemoglobin, ectopic pregnancy, vitamin surplus in the body, etc. The most common reasons for a miscarriage are genetic and chromosomal embryonic abnormalities, diseases of the mother, intake of toxic substances, alcohol consumption, smoking, structural features of the uterus or the cervix, etc. Blood clots are uniform red blood clumps. During miscarriage grayish tissue parts are discharged, together with blood clots. 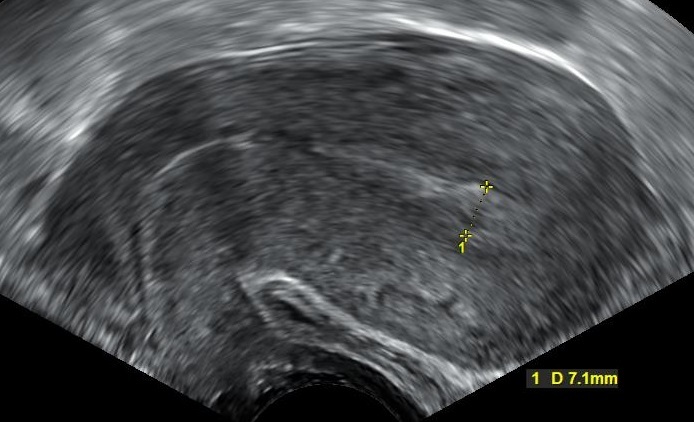 Ultrasound scan shows blood clots as black areas, and the products of conception – as white areas. Dr. Mariam Bozhilova Forest Research Institute, BAS. 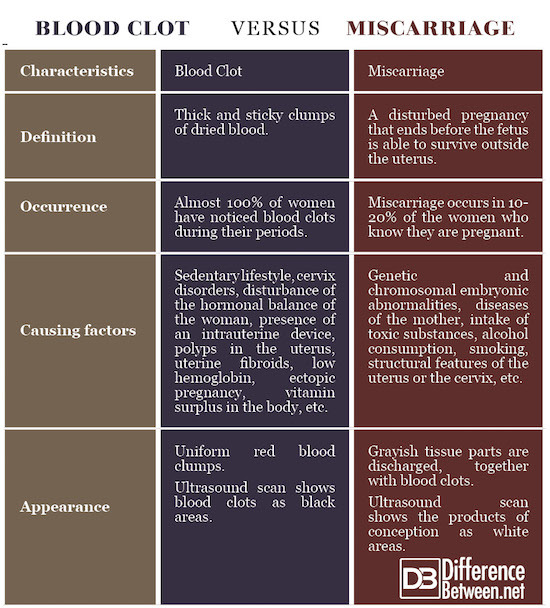 "Difference Between Blood Clot and Miscarriage." DifferenceBetween.net. July 23, 2018 < http://www.differencebetween.net/science/difference-between-blood-clot-and-miscarriage/ >. Lerner, H. Miscarriage: Why it Happens and How Best to Reduce Your Risks--A Doctor's Guide to the Fact. Cambridge: Perseus Publishing. 2003. Print.